Both Democratic and Republican state legislators from across the US agree on the need to control health care costs, according to a new survey published in the American Journal of Public Health. 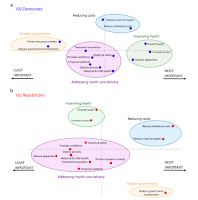 However, other top priorities between the parties differ strongly. Republicans prioritized smaller government along with reducing costs while Democrats prioritize improving health equity with cost control. 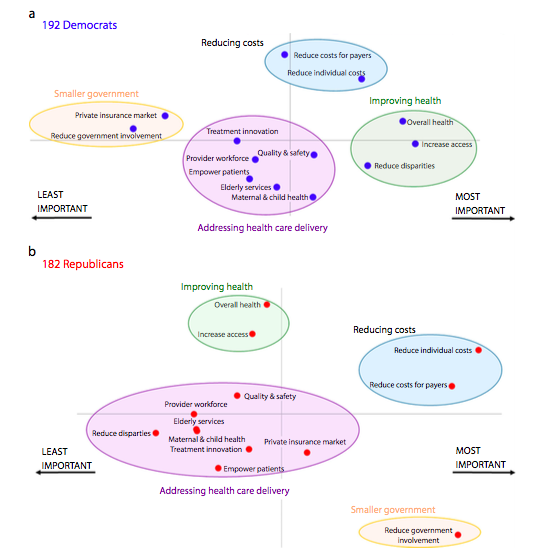 Republicans were split among themselves between prioritizing improving overall health and reducing government involvement in health care. The authors suggest that this reflects a split in the party between moderates and conservatives. There was no difference between legislators based on geography or legislative chamber. The results suggest opportunities for bipartisan progress on health reform, especially on controlling costs, and messaging for advocates. The survey was supported by the Commonwealthand Milbank Memorial Funds.